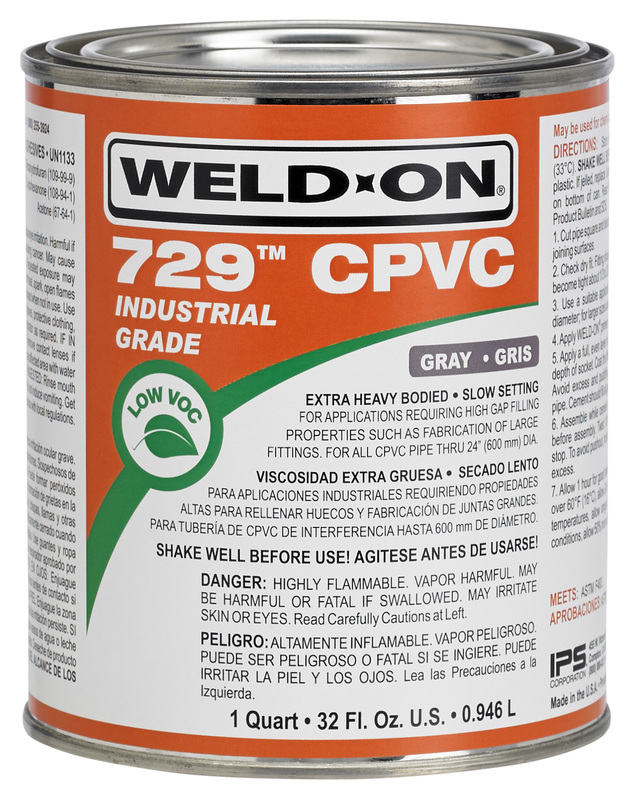 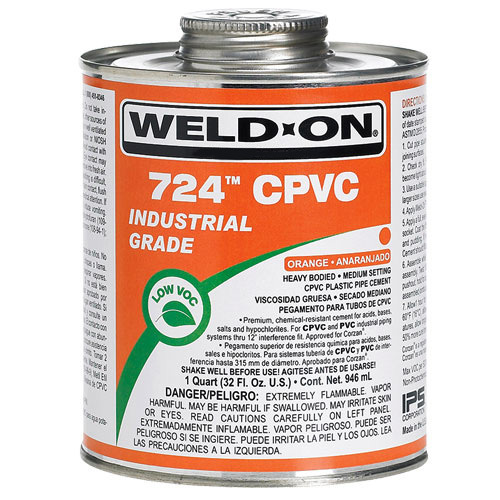 Weld-On® has the widest range of high-strength, Low VOC* CPVC solvent cements for every CPVC application. 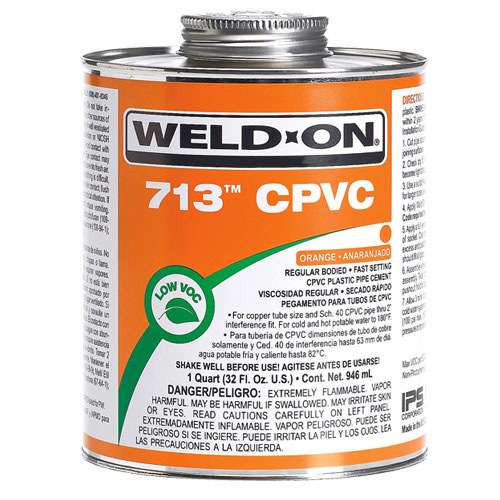 Regular, medium, heavy and extra heavy bodied cements are specifically formulated for CPVC plastic pipe and fittings. 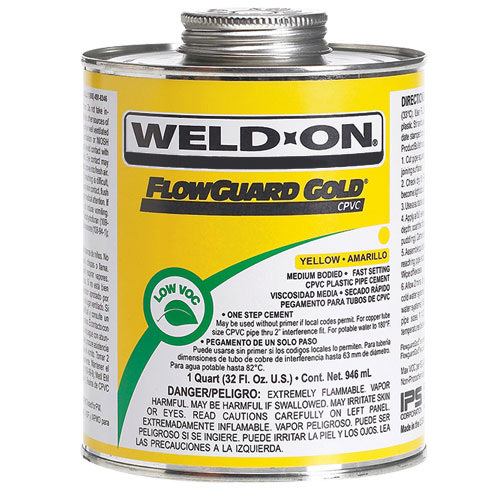 These products are ideal for use in hot/cold water plumbing systems, water treatment and chemical plants, as well as industrial piping systems.